The beginnings of the European Food Summit date back to 2009, when renowned Slovenian winemaker Danilo Steyer decided to hold the first ski competition for caterers and winemakers at Pohorje, Maribor. In 2010, the event was repeated, however, for the last time by the original organiser and at Pohorje. But the vision of such an event endured. 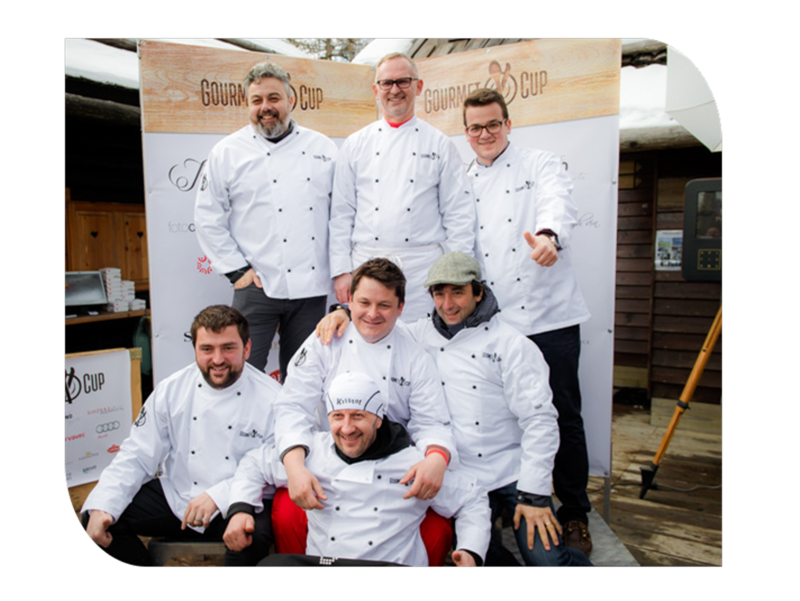 Based on initiative by Tomaž Kavčič, Chef at Dvorec Zemona, and Dean Dubokovič, photographer and culinary aficionado, Jezeršek Catering organized the inaugural Gourmet Cup at Krvavec in 2016. After only four year, the event was elevated to the international stage and was attracting plenty of attention from the public as well as local and foreign media outlets. Last year, Gourmet Cup Ljubljana was improved even further. For the first time, the ski race and gourmet experience on snow with top local and foreign chefs, including Michelin-starred, in the scope of Gourmet Cup Ljubljana 2018 was accompanied by a technical conference hosted by Ana Roš with lectures by popular local and international guests as well as the hit of the event, the experience dinner. With a vision of becoming the most influential culinary event in the region, organiser Jezeršek Catering in partnership with Ljubljana Tourism and STO and a number of sponsors, particularly in recent years, have been combining efforts in developing and evolving the event. The European Food Summit in March 2019 in Slovenia at the junction of European geographies and cultures is bound to a specific objective – to become the most important European culinary event and a unique platform that contributes to the shaping of a sustainable European future and promotes Slovenia as an important gastronomic region as well as Ljubljana as its culinary capital via a unique gastronomic identity. That is why, in Ljubljana, we have brought together at a single locations the greatest minds in culinary, art and media sectors whose stories will aim to motivate listeners to engage in more progressive thinking and work toward a brighter and more sustainable future. Held between 16 and 19 March 2019, the event will feature an extraordinary programme full of inspiring stories from the culinary world. Composed of a series of individual events, including a technical conference, culinary crawl through Ljubljana’s sights and landmarks, unforgettable experience dinner in a magical ambient, gourmet ski race at Krvavec and much more. Follow us and share our vision.